In the coming months, we’ll continue to do these interviews. 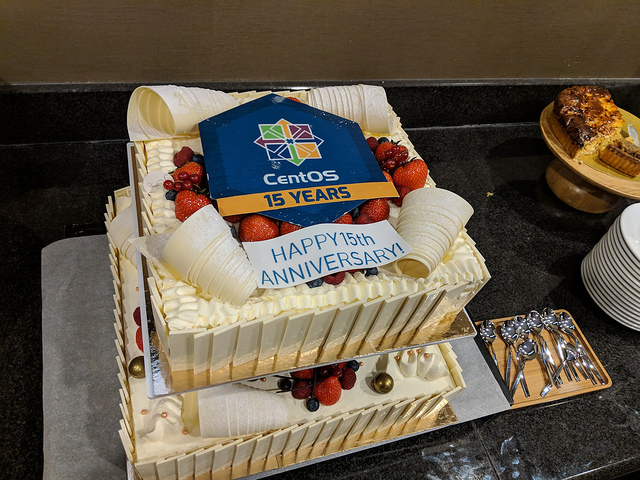 If you’re part of the CentOS community, we’d like to hear from you - how you got involved, and how your role has changed as you’ve gotten more involved over the years. Get in touch with Rich - rbowen@centosproject.org - and we’ll talk. CentOS turns 15 this month! We've been talking with some of the people who have been around since the beginning, and a few that joined us a little later on. And we'll be doing more of these interviews in the coming weeks and months. Here's a few of the interviews about how things have changed over the years. Greg Kurtzer, who originally founded the project, talks about those early days. Mike McLean talks a little about the transition over the years after that, and about CentOS joining the Red Hat family. Brian Stinson talks about his responsibilities in the CentOS infrastructure and CI. Manuel "Wolfy" Wolfshant talks about the path for someone to get involved in the project by jumping in and doing things that you see need doing. If you would like to talk about your involvement in CentOS, please get in touch with Rich at rbowen@centosproject.org You don't need to be one of the founders - just to have something interesting to say about your involvement, past, present, and future. If you contribute to the CentOS project, you need to be aware of changes that are coming to git.centos.org. To summarize, we're migrating from Gitblit to Pagure, effective April 8th. For the full details, please see this thread on centos-devel, and this new page in the wiki. While not as busy as February, we had a number of significant updates released in March. SIGs - Special Interest Groups - are where people work on the stuff that runs on top of CentOS. We have recently started having SIGs report quarterly, so we have just a few of them each month, getting through the entire list every 3 months. The Software Collections SIG reports a slow quarter, which is expected. Red Hat collections, from which this SIG builds, are released twice a year. This naturally leads to every other quarter being fairly silent. The PaaS SIG also reports a slow quarter. The main citizen of this SIG, OpenShift, is moving many of their components to containers, leaving less for the SIG to do. However, there are some potential projects coming up. And, as always, there's lots of room for new contributors to come in and work on areas that interest them. Please do show up on the mailing list, or the IRC channel, to discuss what you'd like to work on. In two weeks, we'll be running a CentOS Dojo at Oak Ridge National Labs (ORNL), where we'll be featuring talks focused on the kind of scientific research computing that goes on there. You can see the schedule of speakers and sessions on the event website. However, we have sold out all of the space at this event, and so registration is now closed. At the end of the month, CentOS will be at the Open Infrastructure Summit (formerly known as OpenStack Summit), in Denver, in the community pod of the Red Hat booth. Come see us! And we're ramping up towards Red Hat Summit, where we will be in the Community Central portion of the expo hall! This is one of our biggest events of the year, and we'd love to see you there, in Boston! And, coming up, we're planning to run a CentOS Dojo in Boston, on the day before DevConf.US. The call for presentations is open, and we want to hear from you! Talks about anything you're doing in, on, or around CentOS is fair game. Submit your talks HERE. For our next #CentOS15 profile, I spoke with Manuel "Wolfy" Wolfshant, who has been an active member of our community since the very beginning, shortly after we started working with the WhiteBox Linux community. When Red Hat moved the business model from selling CDs to selling support, his company had a need to provide a Linux desktop operating system, and packages for it. Wolfy says that his eye was caught by a news article about Johnny Hughes and the Mayor of Tuttle, Oklahoma, Jerry Taylor. If you weren't around back then, I'll recap. Due to a failed server upgrade, the Mayor of Tuttle woke to find the generic Apache httpd welcome page, and the CentOS logo, on his city's website. He promptly emailed the CentOS project, threatening to turn them over to the FBI if they didn't undo their malicious hack of the site. got even angrier, and the conversation went downhill from there. But Johnny remained calm, polite, and professional, and helped guide the city IT department to a solution. You can read more in the article from the Register at the time. Impressed with Johnny's calm and helpful response, Wolfy went with CentOS, and has been a happy user for many years since that time. His involvement in the project began with packaging drivers that were needed for machines in the office. It swiftly moved to other areas, including user support, translation, and starting the very active Romanian Linux user group, RLUG, which remains active today. Over the years, he has worked on the release notes (for a time providing them in Romanian), packaging for Fedora, and the creation and maintenance of the minimal install kickstart during the CentOS 6 days. He remains active in the IRC channel, on the mailing lists, and in the CentOS Forum, helping new users (and some experienced ones!) navigate their problems with the CentOS operating system. You can find him #centos-devel channel on Freenode IRC under the name 'wolfy', and on the centos-devel mailing list, answering user questions. It's not a secret that the CentOS project has always been running on sponsored infra since the beginning of the journey. While over the years we sometimes lost some "sponsors", we are always happy to see new ones joigning us . That's especially true for the infra used to "seed" the CentOS distro and SIGs content to external mirrors, and even more in regions that are less covered. While we have some nodes in North America and Europe, some other regions are less covered (if not at all). That's why we'd like to say thank you to Packet to have recently sponsored some bare-metal nodes that are now members of our msync network, including (but not limited) to regions like Asia (with one node in Japan ! ), Europe and America. Welcome ! A substantial number of released/updates were announced on Tuesday, March 19th, and are listed below. For timely announcements of these updates, subscribe to the centos-announce mailing list, at https://lists.centos.org/mailman/listinfo/centos-announce . We are pleased to announce new official Vagrant images of CentOS Linux 6.10 and CentOS Linux 7.6.1810 for x86_64. All included packages have been updated to February 28th, 2019. As you may have seen either at recent events, or on social media, we're getting ready to celebrate our 15th birthday! As part of that, Rich has been interviewing various people who were around in those early years, to get some of the back-story on how it all happened. You'll start seeing these interviews on the blog in the month of March. This week, we have published an interview with Greg Kurtzer, who founded the project in the first place. Later, we'll be publishing interviews with Karsten Wade, Manuel "wolfy" Wolfshant, and Mike McLean, with others to come. February was a very busy month for errata and updates. The links below are to the release notes for each update. There was presentation on NFV SIG at the CentOS dojo. We hope to get fd.io vpp 19.01 release RPMs in mirrors before the end of February. Stay tuned. More information on the NFV SIG, including how to get involved, may be found on their wiki page. The opstools SIG has published their quarterly report to the CentOS Blog. More information on the Opstools SIG, including how to get involved, may be found on their wiki page. The Virtualization SIG has published their quarterly report to the CentOS Blog. More information about the Virtualization SIG, including how to get involved, may be found on their wiki page. FOSDEM was, of course, in February, but we reported on that in last months' newsletter. This month, we'll be sponsoring FOSSAsia in Singapore! We'll have a CentOS table there, and we'll have participation from numerous of our favorite projects, including Ansible, ManageIQ, Fedora, and Dogtag. Last week, I spoke with Greg Kurtzer, who founded the Caos Linux project, which turned into the CentOS Project in 2002. I got an eye-opening story of how it all started. In October of 2000, Greg, who was already an avid Debian GNU/Linux fan, joined an organization (LBNL) that was a Red Hat shop. (This was before Red Hat Enterprise Linux.) And, while generating packages for work, he decided that what was really needed was a community-managed distribution of RPM-based Linux, much like Debian existed for the dpkg crowd. Now, in the early days of open source and free software, we had communities that were more defined by personalities than by technologies. Granted, that situation still exists today, but if you didn’t endure the flame wars of the late 90’s and early 2000’s, it can be a little hard to imagine just how bad it sometimes got. With Caos Linux, Greg had an opportunity to set a new tone for the project as more welcoming, beginner friendly, and encouraging than was the norm at the time. When Red Hat Linux became Red Hat Enterprise Linux, and the project could no longer use Red Hat Linux as the build system, they began to work with Rocky McGough who was already doing a rebuild of RHEL for his employer. (There were a number of these projects at the time.) He was changing roles professionally, and wanted the project to continue, and so agreed to merge with the work that Greg was doing. Rocky was, effectively, the first technical lead of CentOS. The name itself was coined by a participant in the UK, who will be mentioned again later. The process was started by Greg to create a 501c3 non-profit entity - the Caos Foundation - which would host the CentOS Project. There was a framework being created to cover governance, funding, and organizing volunteer effort. Unfortunately, the individual who came up with the name ‘CentOS’ also owned the domain name, and declined to release it to the foundation as promised. Meanwhile, when a RHEL-rebuild project called White Box Linux was discontinued, it became clear that what the community wanted was a free alternative to Red Hat Enterprise Linux. CentOS moved into that space, based on the work that White Box had done. As CentOS was starting to gain popularity, word came to the project that Rocky had committed suicide. In addition to being very tragic, this presented certain technical difficulties to the project, since he was the technical lead at the time. In hindsight, it is a shame he didn’t get to see what the project would become in time, as the foresight may have prevented this tragedy. Greg passed on the technical lead position to the individual in the UK who held the domain name, while Greg continued to manage the project, community, and governance side of things. Donations to the project started to come in to support the infrastructure and other needs of the project. And third-party vendors making a business around the project also began to appear and prosper. The project was growing rapidly, and donations to the project were growing rapidly. From there, due to a number of situations not really germane to this article, Greg moved on, and the CentOS project, through a number of events, came to where it is today. We’ll explore some of these other transitions in upcoming interviews and articles. Of particular interest to me during my interview with Greg, were his remarks about setting the tone in a project. Being welcoming, kind, and patient takes so little time, but creates a community that people want to participate in, are proud to be part of and which is sustainable for a long time, due to the ability of new participants to enter and feel ownership. I’ve published a separate, much shorter, video with just those remarks, which I’d encourage you take two minutes to watch, too. Provide tools and, documentation, recommendations and best practices for operators of large infrastructure. We need to be honest to see that contributions decreased over the time. Members moved on, and at the same time, we failed to attract new contributors. CentOS opstools packages are being consumed by OpenStack Kolla, and at the same time, for example also by oVirt. During FOSDEM, we got in touch with collectd upstream. collectd is also integral part of the OPNFV Barometer project. While Barometer provides containers to test the project, the same can be achieved by using packages from CentOS-Opstools. Architectual-wise, we are shifting from using sensu and fluentd. If anyone is interested in keeping them, it's the right time to step up. persons are encouraged to step up here! None at this point, but we should keep an eye on contributors. 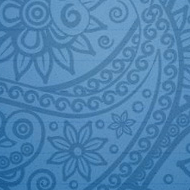 The CentOS PaaS SIG is working on delivering multiple PaaS Stacks that are built, tested and delivered into the CentOS Ecosystem for end user consumption, run as a service and also provided in various formats ( rpms, containers, images etc ) for other efforts in the CentOS Ecosystem, that can derive value from this content. OKD 3.11 has released in this quarter and we keep working on maintaining the packages while the updates are coming from the main repository. We provide also the openshift-ansible package containing all playbooks to deploy OKD on CentOS environments. We are pleased to announce new official Vagrant images of CentOS Linux 6.10 and CentOS Linux 7.6.1810 for x86_64. All included packages have been updated to January 1st, 2019. The centos/7 images use the XFS filesystem again (we had to temporarily switch to ext4 due to filesystem corruption involving qemu and XFS in 7.5.1804). providing the ability to install several versions of various software side by side. Some older software collections were retired due to their upstream End-of-Life status. it is advised to upgrade to a newer variant of that collection as soon as possible. As a last resort, the retired and unsupported packages can be found at CentOS vault. We wish you a happy and prosperous 2019, full of CentOS! December was a very busy month for releases and updates. The following releases and updates happened in December. For each update, the given URL provides the upstream notes about the change. Last month the Cloud SIG produced a detailed quarterly report, which you can read in a separate post. This kind of detailed report is what we'd love to see from other SIGs in the future. The Software Collections SIG has also published a quarterly report, covering their progress in the last few months. Due to so many people taking time off in December to spend time with friends and family, several other SIG reports are running a little late. Don't worry, they're on the way, and you can see them here, on blogs.centos.org, in the next week or two. Thanks for your patience! Coming up in February, we'll be participating in FOSDEM, with a table in the expo area, as most years. Drop by for all your CentOS sticker needs, or to tell us about what you're doing with CentOS! You can find out more about FOSDEM on their website at https://fosdem.org/2019/. New neutron ML2 driver networking-ansible has been included in RDO. This module abstracts management and interaction with switching hardware to Ansible Networking. Swift3 has been moved to swift package as the “s3api” middleware. 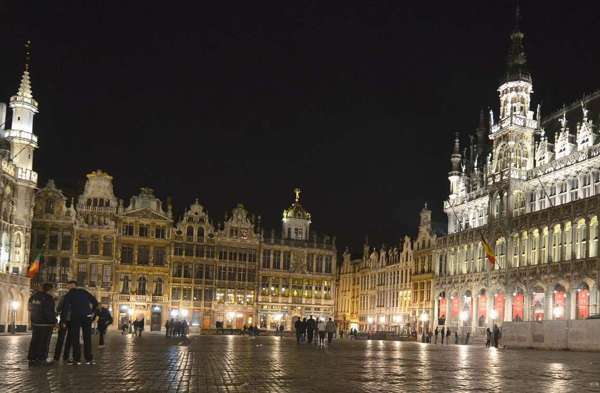 We're looking forward to seeing all of you in Brussels next month! just a few minutes walk from Grand Place. coffee breaks. We are currently about two thirds full, so don't wait! 2018-12-12: We published new Vagrant images, v1811.02, fixing CentOS bug 15552 (wrong permissions on file /etc/sudoers.d/vagrant cause visudo -c to report an error, which can result in problems with Puppet). We are pleased to announce new official Vagrant images of CentOS Linux 6.10 and CentOS Linux 7.6.1810 for x86_64. All included packages have been updated to November 30th, 2018. The CentOS Atomic SIG has released an updated version of CentOS Atomic Host (7.1811), an operating system designed to run Linux containers, built from standard CentOS 7 RPMs, and tracking the component versions included in Red Hat Enterprise Linux Atomic Host. With golang now gone from the CentOS Linux 7 distro ( deprecated upstream ), the best way to get golang for your system is to get it from the SCL. MAny thanks to the CentOS SCL SIG for shipping this go-toolset collection.